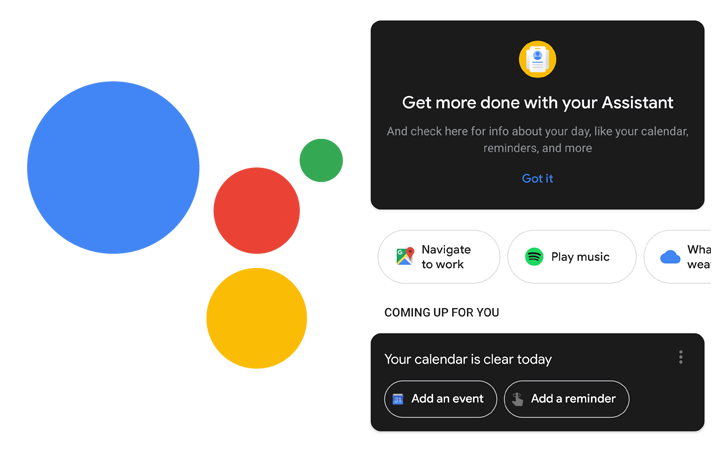 Dark mode is currently on everyone's lips, and many of Google's own apps are or are currently being supported to support shadier themes (and not just Google apps). In the near future, Android itself will support a darker OS-level palette – something that many in the community feel overdue for years to come. Now it seems that the Assistant UI is interfering with the action, and frankly, the team's first spike did not go well. Just look at these screenshots. This is a black and white monstrous phenomenon that eliminates virtually all the anti-eye-searing benefits of dark mode by surrounding it with a dazzling white background. The point is missing to an extent that feels almost deliberately cynical, as if the assistant team tells us so because "you asked for it there." This interface is currently being provided for a large number of users, and it's so bad that I have to wonder if it was an accident – Google can not believe this looks good. It seems like an unfinished Frakenstein interface mashup, if what it was supposed to look like is the nice-looking dark Discover interface that's been evolving into selected user groups for some time. Maps are part of a larger update which allows access to these cards in the bottom bar of the wizard, which you can read more about in our post here. Let us hope that this little experiment is drawn, or rather, actually completed to its logical conclusion (ie, get rid of all this damn white). Because yuck.